A robot cat has appeared from the future!? 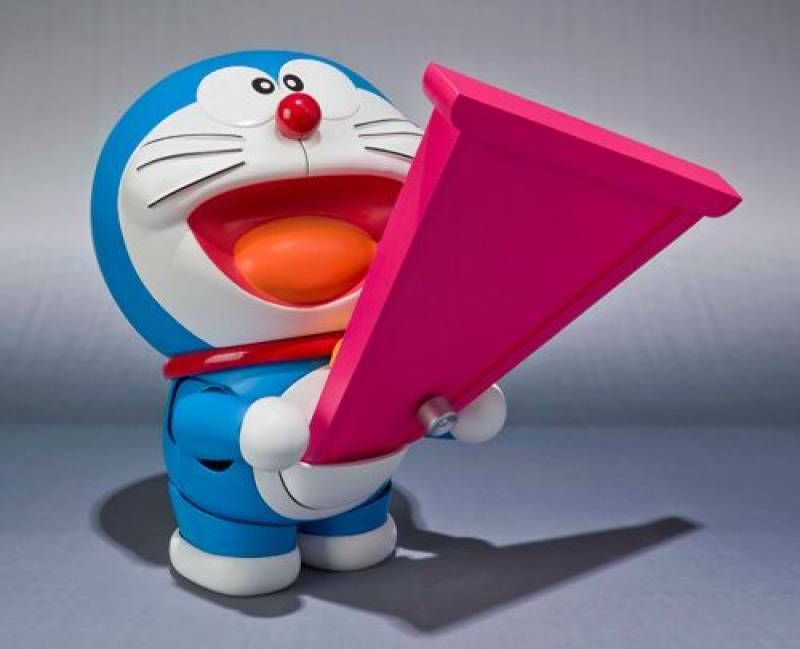 It's Doraemon! A character whose popularity crosses borders and generations. 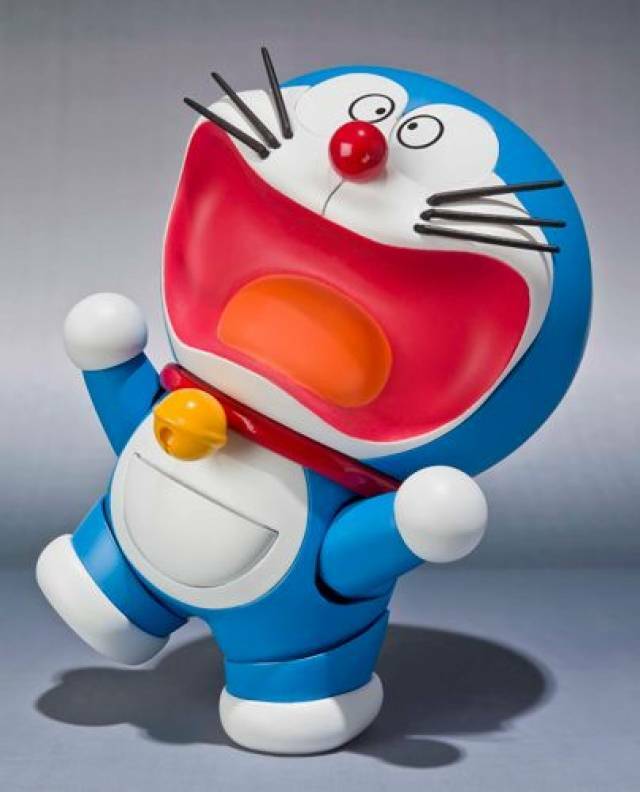 The S.H.Figuarts Doraemon figure is made with the latest high-grade articulation joints, allowing for realistic posing possibilities. Option parts can be added flawlessly with the use of precisely placed magnets. 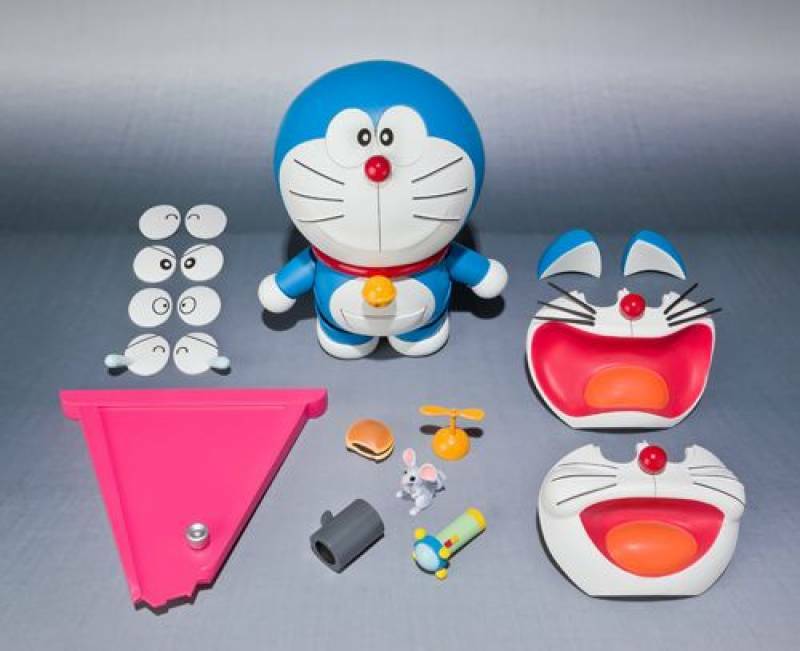 Set includes interchangeable eyes (x4), facial expressions (x2) and ears, as well as an abundance of favorite motifs from the anime including dorayaki, an emerging Anywhere Door, Take-copter, Air-Pistol, Small Light and mouse.